Step right up and roll the dice! Craps is a classic online casino game that offers you the chance to win amazing prizes by rolling a pair of dice and betting on the outcome. It is a popular game that you’ll find in every casino around the world, and you can even play craps online for the chance for a thrill a from the comfort of your own home. 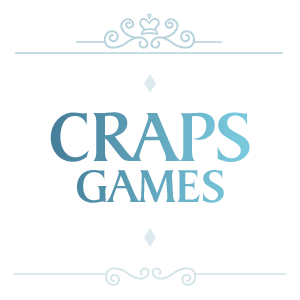 Craps is a dice game where players around the table wager on the outcome of the roll. If you make a successful wager, your prize will depend on the number rolled – with some bets offering a low house edge of just 1.41%. The game seems complex but it is actually quite easy how to learn and win at craps online. The different bets that you can make each come with a different house and a payout to match. As such, it important that players get a good understanding of the game’s basics and learn about the most profitable bets to make. Joining a craps table can be intimidating, since the board looks so complex – but, it really is quite simple. The game revolves around the outcome of a few dice rolls. The shooter rolls the dice, and certain numbers will grant them a win. The players around the table wager on what they think the outcome will be, and their prizes are awarded accordingly. The game begins with a Come-Out Roll, during which the “shooter” must roll a 7 or 11 to win. If they roll a 2, 3 or 12, they’ll lose. They can also can establish a point number by rolling a 4, 5, 6, 7, 8, or 9. After this, the Come-Out Roll ends. The gameplay will continue if the player establishes a point. If the shooter rolls the point number, they’ll win. If they roll a 7, they’ll lose. If they roll any other number, the game will continue until either the point number or the 7 is rolled. Any players who bet on the Pass Line will win a 2:1 prize if the shooter hits their point. Place Bet: a wager on any other point number. Place Lose: a wager on any other point number, but you win only if a 7 is rolled before that number. Come & Don’t Come: bets are placed after the point is established rather than before. Big 6 and Big 8: wins are awarded if any 6 or 8 is thrown before a 7. Hard Way: any number that is rolled as a double. Field Bet: always settled on the next roll, winning if a 2, 3, 4, 9, 10, 11, or 12 is rolled or losing if a 5, 6, 7, or 8 is rolled. Craps is one of the few table games that doesn’t have plenty of spin-offs or different versions. While you’ll find games like multi-wheel roulette, blackjack switch and mini baccarat, such variations are rare when playing craps online. High roller craps is a version of the game that is geared towards players that have a bit more money to spend. In a standard game, there is usually a $1 to $5 minimum bet but high roller games have a minimum of anywhere from $50 to $100. You should only venture near high roller tables if you’re an experienced player and have a big bankroll. Live dealer craps is another version of the table game that you can find online. Usually they are only available for standard and high roller craps, but it is worth giving it a go, as live casino games really add a new and exciting element to playing craps online. You get to interact with a dealer over webcam, having a chat with them just as you if you were a regular at a brick-and-mortar casino. This makes the online gaming experience more authentic and you won’t miss the thrill of gaming live. Choosing the right game of craps should be pretty easy, as there aren’t very many variations available. If you’re a beginner, then be sure to play craps with a lower limit. While the minimum bet is normally $5, you can usually find a $1 minimum while playing craps online. This allows you to bet fairly small while you’re learning the ropes. Once you’ve got a bit of experience under your belt, you can go for games with a bit of a higher limit. However, it is not a good idea to play high roller craps unless you have a couple thousand in your bankroll. To find the top craps site available in the online casino market, you’ll have to do a bit of research. It is important that you take a look at a couple of different casinos to find out which site is right for you. Firstly, you’ll want to browse the site’s collection of bonuses. Ensure that a generous welcome bonus is up for grabs that caters to your budget, as well as ongoing promotions that provide you with the chance to win bonus cash on a regular basis. Then, you should find out more about the casino’s customer service. It’s important that you pick a site that has top rated support, including convenient banking options, quick withdrawal times and useful responsible gambling methods. Craps can be easy or difficult to win, depending on the types of bets that you choose. If you’re a beginner, you should stick to the Pass, Don’t Pass, Come and Don’t Come Bets. All four of these wagers have a low house edge, so you are more likely to cash in prizes than with other bets. You should also avoid the hard bets. The Hard 4 and Hard 10 come with a steep house edge of 11%. The same goes for Big 6 and Big 8 bets, which have a house edge of 9%. While you won’t be vying for particularly large prizes, but you’ll hit wins more often to make for an exciting experience. Is there anything else you’d like to know about craps? Here, we’ll answer the most commonly asked questions about this popular online table game to assist you. Can you play no deposit craps online? Unfortunately, it is rare that craps are included a part of the no deposit bonuses that you’ll find at online casinos. However, you can use any of the cash that you earn on welcome and reload bonuses to play craps online. How do I know playing craps online isn’t rigged? It is important that you only play at licensed online casinos to ensure that the games you play aren’t rigged. When a casino is licensed in a reputable jurisdiction, you can rest assured that the its games are tested regularly to ensure that all outcomes are random. How many variations of craps are available online? Craps is one of the few online casino games that doesn’t feature any variations. You can mix up your gameplay by making different sizes of bets to change the odds and make things a bit more exciting. Is it legal to play craps online? Yes, you can play craps online if you’re located in a country where online commercial gaming is legal. If you’re in a country where it is not legal, you may have to check local laws to find out if your state allows you to play casino games like online craps. Craps online is easy to find but it is important that you look at multiple casinos before playing.